Since I pared down my wardrobe I have only had one pair of jeans to wear. I am beginning to re-think how I went about removing items from my wardrobe, mainly because I wear my jeans and tees so often and so hard. I definitely need more of these than I previously thought. A month ago my favorite (read: only) pair of jeans tore at one of the knees. I planned to patch them, but in the meantime I bought another pair of jeans (which are passable but nowhere near as good as the torn ones). This morning I woke up and went to put on my jeans only to discover they were dirty. 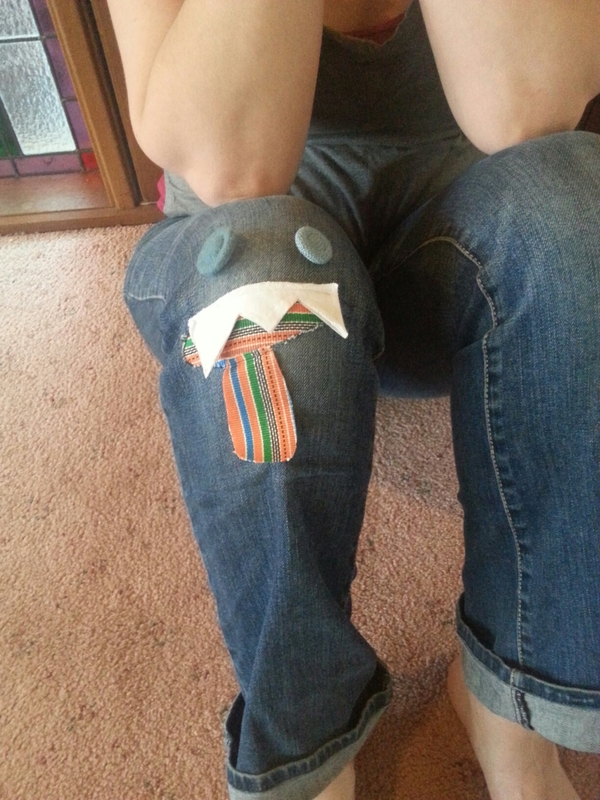 It was totally a jeans kind of day, so I immediately set about planning my patch. 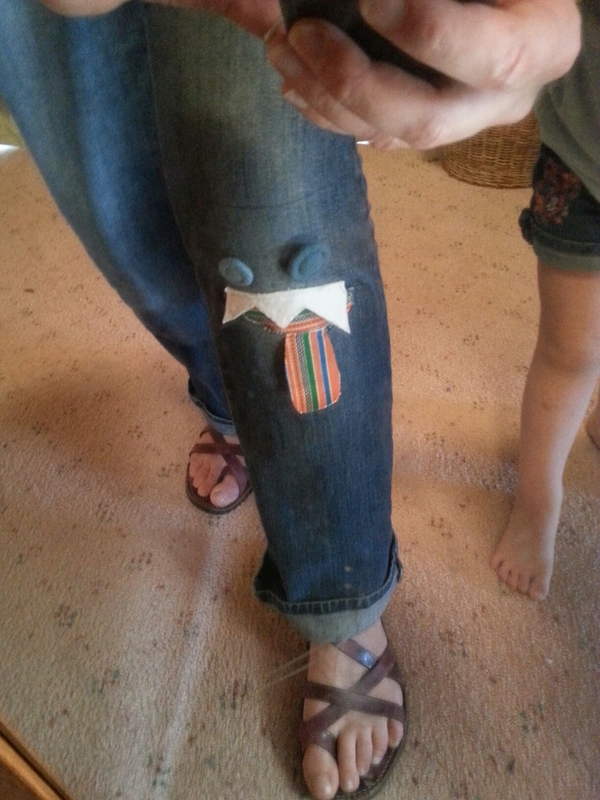 I’d seen Monster Knee Patch tutorials before (most notably when my gorgeous friend patched her farmer husband’s work pants in this way… He wasn’t happy but I thought it was great) and was eyeing them for my repair. I perused a few this morning and then set to. 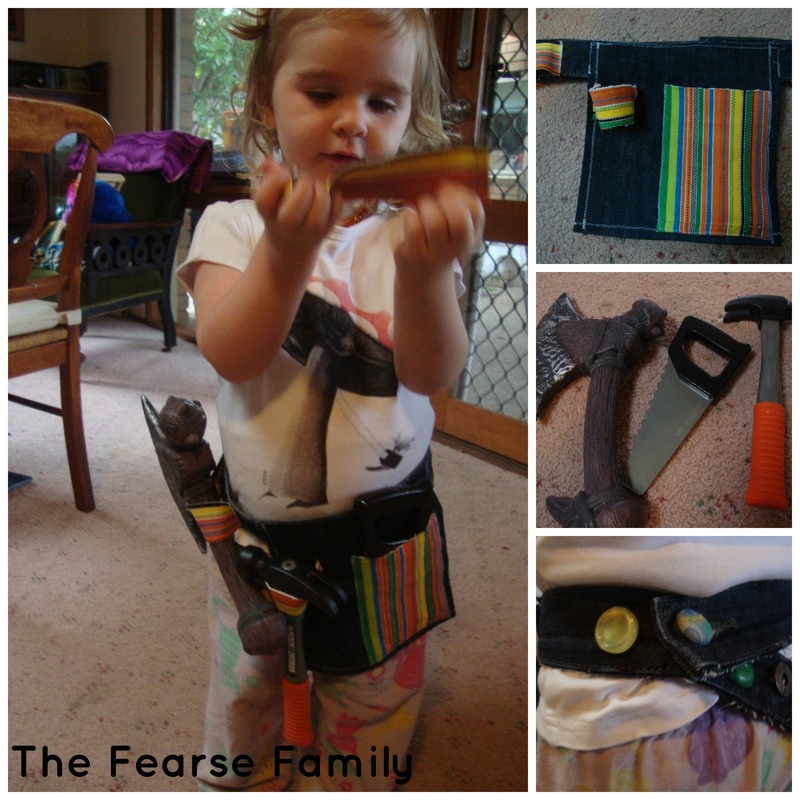 I used left over placemat material from the tool belt I made, plus a bit of t-shirt left over from a baby sleeping bag I made years ago and some vintage buttons. 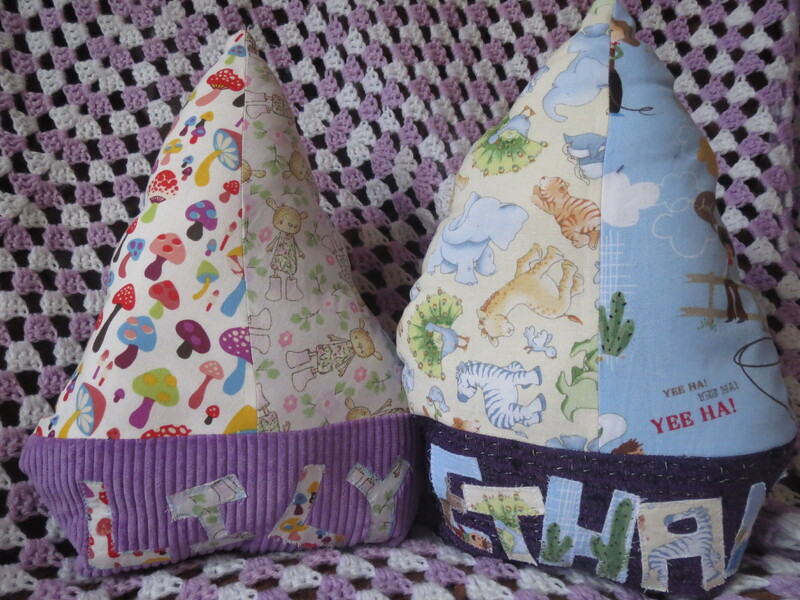 It took about 45 minutes including toddler wrangling, bobbin winding and machine unsnarling. You know that’s pretty good for me. You could probably make this in about 10 minutes. 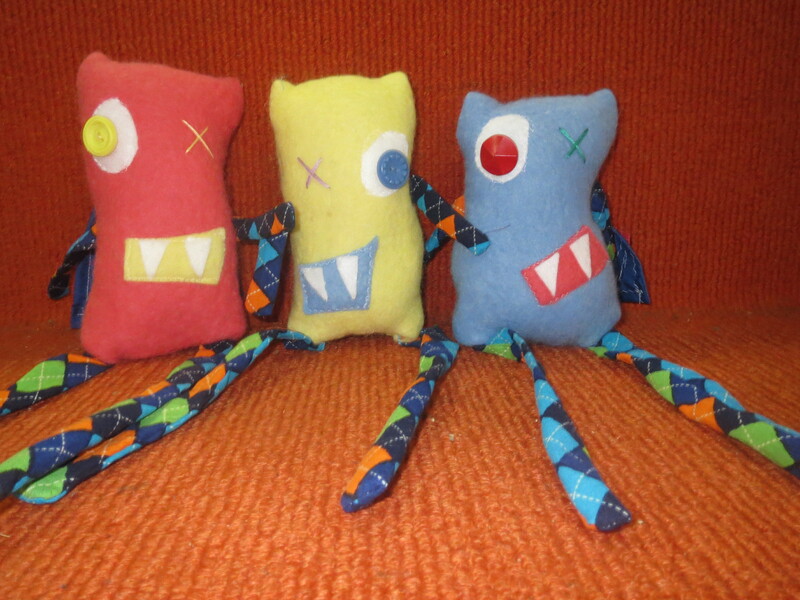 Here is my take on the monster patch (previously thought to be appropriate only for kids). The up-cycle project inspired by Zach Braff. When Big Poppa and I first met we spent many, many hours lying around watching Scrubs. We’d hang out for every new season, buy it on DVD and watch it until the discs wore out (I mean this quite literally). When we met we used to joke that all we had in common was a mutual love of Bill Murray, but the thing that probably kept us together was our common brand of humour. We loved the crap out of Scrubs and both of us were pretty fond of Zach Braff. We didn’t write this song, but we probably would have if we’d thought of it first. So, years ago, when I discovered this t-shirt available for sale of course I bought it for BP. Of course I did. BP was leaner then (okay, if I’m going to be fair we were both so much leaner then), but he’s always been particular about the shape of his shirts and he prefers black, so he never wore it much. With all the decluttering and shifting of stuff, I just haven’t been able to pass this one on. It doesn’t fit BP and it doesn’t fit me, but maybe one day…? 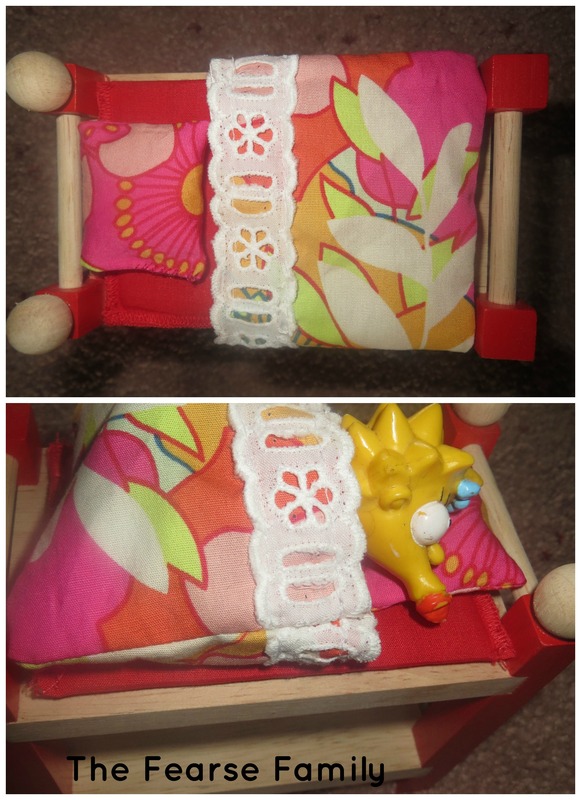 Today a post that promised 25 minute sewing projects came up in my feed. I’m always looking for 25 minute sewing projects, because then I am absolutely certain they won’t take me more than 8 hours. Waking today and realising that no one had any plans (an oasis in a storm of activity) we decided to have a pyjama day. Big Poppa has been working on a mixtape for someone special, so I figured I had time for a mini project. 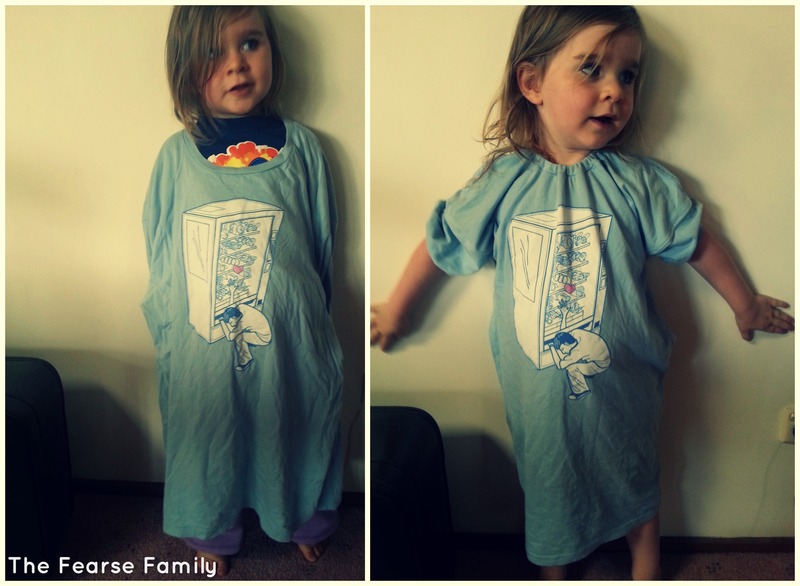 This DIY kids nightie caught my eye. Even better – it boasts that it’s a 15 minute project. That’s only about 4 hours in Mama time. Super! I rummaged through the sewing box and found the vending machine t-shirt. At men’s size XL I knew I was stretching being able to do this in just 15 minutes, but I figured I could probably get something to work. Even if it just kind of worked. 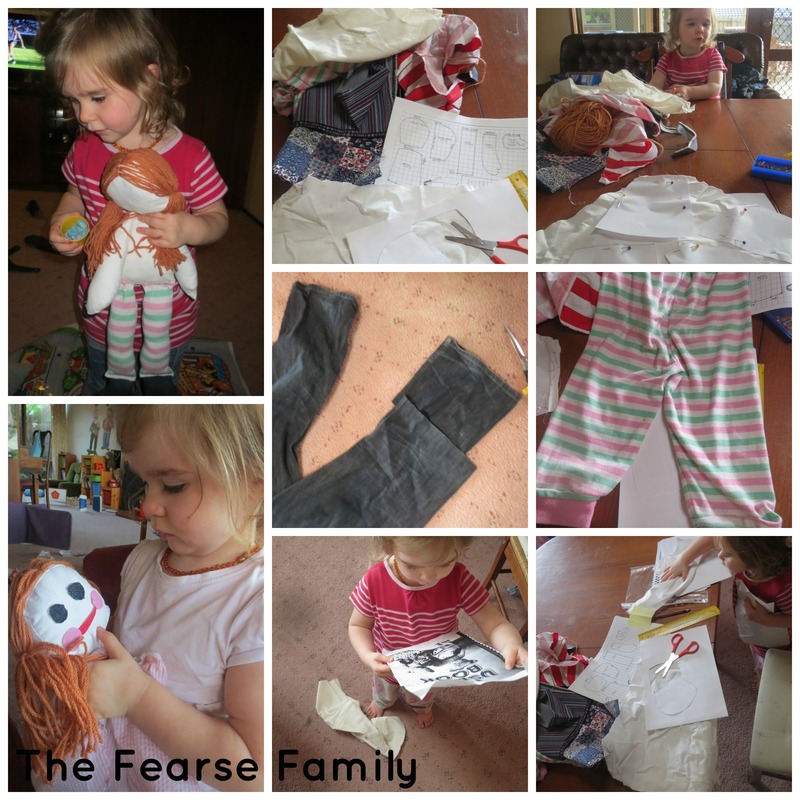 Little Fearse is never particularly critical of my sewing adventures, so I reckoned it was a safe bet. It took me about 2 hours in the end. Due to the size of the t-shirt I also had to cut out and reset the sleeves. I only knew this was a possibility from reading other t-shirt up-cycle tutorials previously and I’m sure that if anyone who actually knew anything about sewing checked this out they’d be horrified. 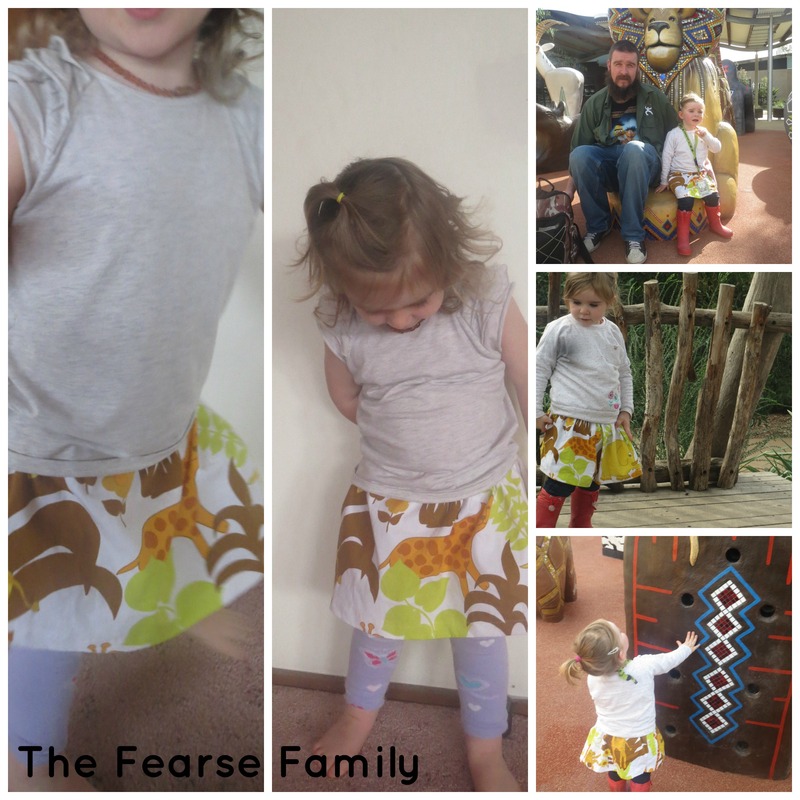 It works, anyway, and Little Fearse (although very grumpy for these photos) seems wiling to wear it. And I reckon she looks just as spiffy as Zach Braff. What’s been our biggest BNN challenge so far? A friend recently asked me what we had found hardest about our BNN challenge. I admitted that buying second hand wasn’t too difficult for us. I found it a difficult question to answer at the time, but have pondered it lots since. What have we found really difficult? Gift giving. We have found a variety of gift giving solutions, but I don’t really feel as though we’ve excelled in this area. 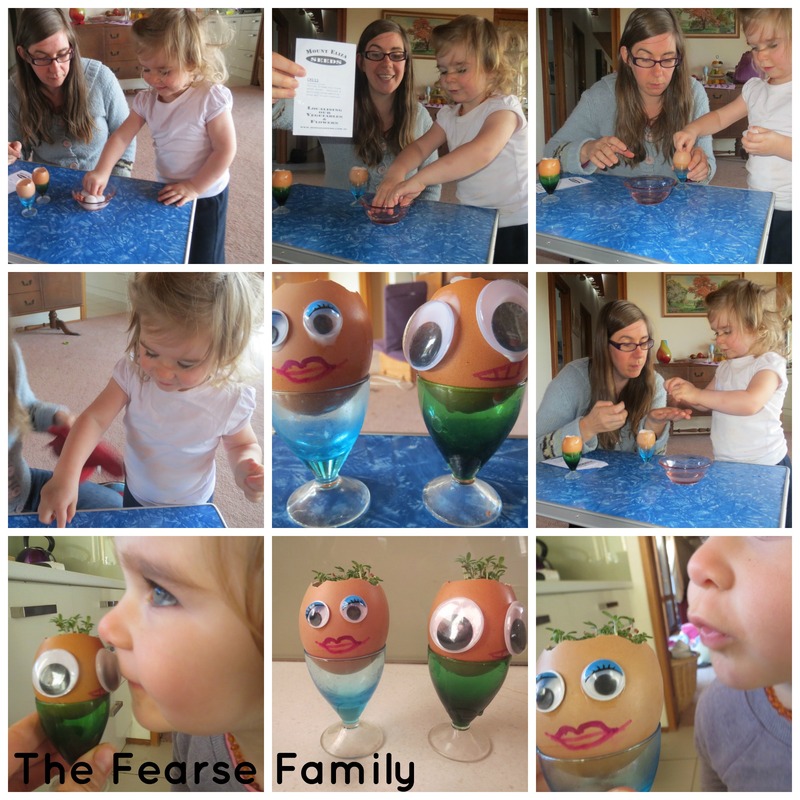 I have had a go at some toy making for the Mum’s Group first birthdays and am still working on some of these (really late…see what I mean?). These toy boats were filled with bells that were rescued from Lindt Easter Bunnies so they tinkled. I loved the tutorial, it was quite simple. I just didn’t feel like they turned out really well – something was amiss. The first was too pointy, the second too billowy. 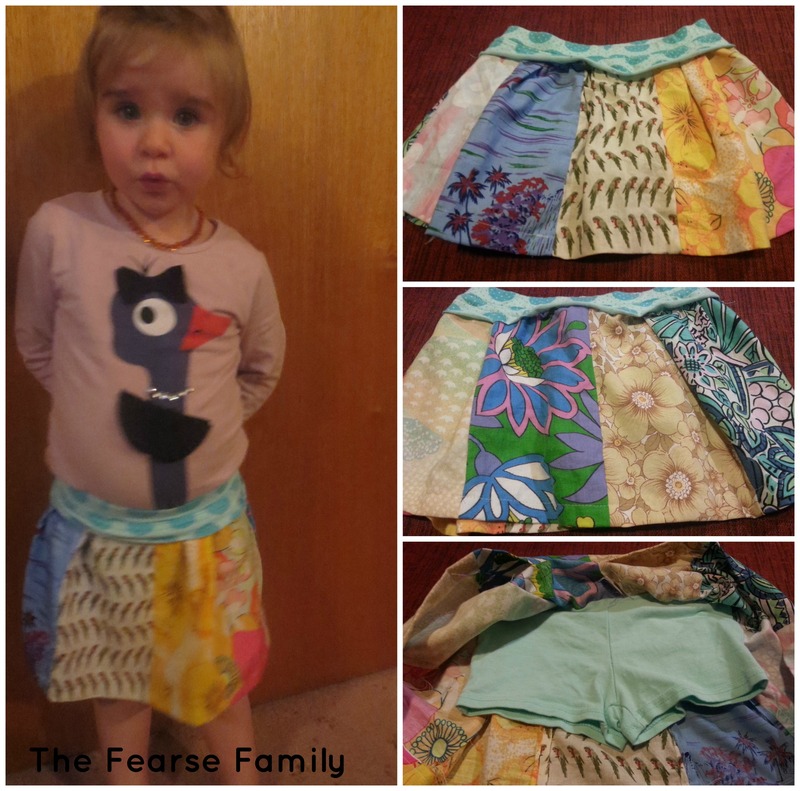 I have a Pinterest board full of great sewing tutorials, I just can’t seem to get it right. I often have great ideas for second hand gifts, but somehow it doesn’t feel like it is quite honouring our goals. It doesn’t seem challenging enough to buy second hand toys and gifts on eBay and at the market. I also feel that sometimes people think we’re being cheap, rather than inventive, with our BNN gift giving challenges. We really are not driven by cost at all when it comes to gift giving – we want to give the right gift for the right occasion, but somehow it can get lost in translation somewhere. I think that I have always felt a little out of wack when it comes to gift giving. I LOVE giving gifts, but usually not at the “right” times. I’ll find the perfect gift months before a birthday or after Christmas, but never when the pressure is on. When I am receiving gifts I much prefer the one well thought out gift than the mountain of gifts. I love the gift that has been thoroughly considered over the gift that has cost a lot. I have always loved the useful gift over something frivolous. I love a handmade gift. I find it hard to disconnect what I like in a gift when giving gifts to others. So, gift giving is our biggest challenge this year. I hope that people will forgive us if they feel we’ve dropped the ball in this area. We really are trying.